For some, loading up the entire family in the car for a long drive can be a real hassle, but only if you happen to lack the space or amenities to keep everyone satisfied. As long as everyone is occupied and has room to breathe, your next road trip should be utterly refreshing. 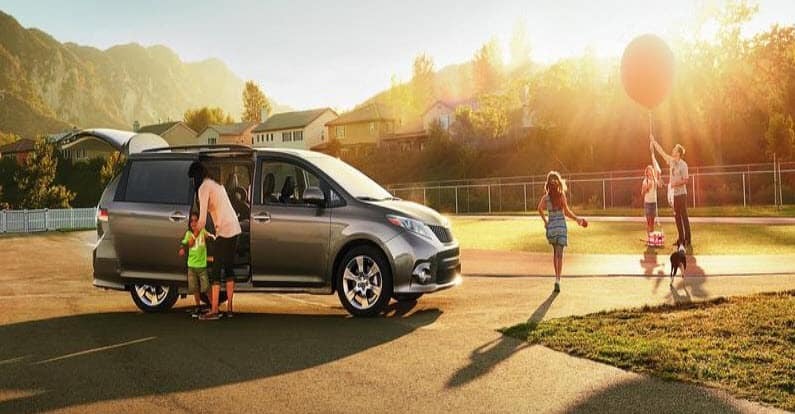 There’s a good reason why families here in the Avon, Indianapolis, and Plainfield areas seem to love the 2017 Toyota Sienna. Andy Mohr Toyota team is going to show them all to your now in this detailed review. When you think vehicle comfort, the first thing you’re probably thinking of is space. After all, if you don’t have a little room to stretch, you won’t want to spend more than an hour at a time in the car. The 2017 Toyota Sienna offers 164.4 ft3 of space for up to eight passengers. It also has 39.1 ft3 behind the third row just for cargo. That way, you and your luggage should be able to happily coexist. Several technologies are then included to make sure that everyone stays occupied while you’re driving. The Entune™ Audi Plus suite with Connected Navigation comes with a 7-inch touchscreen, 6-speakers, hands-free calling and texting, and numerous music options. You’ll also have a handy navigation system on your side. Not only does this offer GPS directions, but it also comes with live traffic updates. When choosing a vehicle for your family, safety is going to be a top priority. Fortunately, Toyota considers this a top priority, too. That’s likely why the 2017 Sienna earned a 5-Star Overall Safety Rating from the National Highway Traffic Safety Administration. On one hand, this commendation is earned by way of structure. The Sienna has been reinforced with features like size-door guard beams, crumple zones, and more to rebuff collision forces. On the other hand, technology is also a key component. The Sienna comes standard with the Star Safety System™. This features stability and traction controls, as well as smart stop braking technology. For many, the family minivan is the designated vacation vehicles. So, you’re going to need one with the power to get you to your destination with ease. The 2017 Toyota Sienna comes equipped with a 3.5L V6 engine capable of producing 296 HP and 263 lb-ft of torque. In case you were wondering, that’s enough to help you haul 3,500 pounds of additional cargo. Is the 2017 Sienna Right for Your Family? By blending safety, comfort, and sheer power, the 2017 Toyota Sienna certainly has a lot to offer your family. If you’d like to experience it for yourself, get in contact with the Andy Mohr Toyota team today. We’re happy to help all Avon, Indianapolis, and Plainfield drivers get acquainted with this fine minivan. Schedule your test drive today!